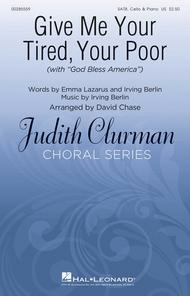 Judith Clurman Choral Series. Composed by Irving Berlin. Arranged by David Chase. Choral. Festival, Patriotic, Concert. Octavo. 16 pages. Published by Hal Leonard (HL.285559). 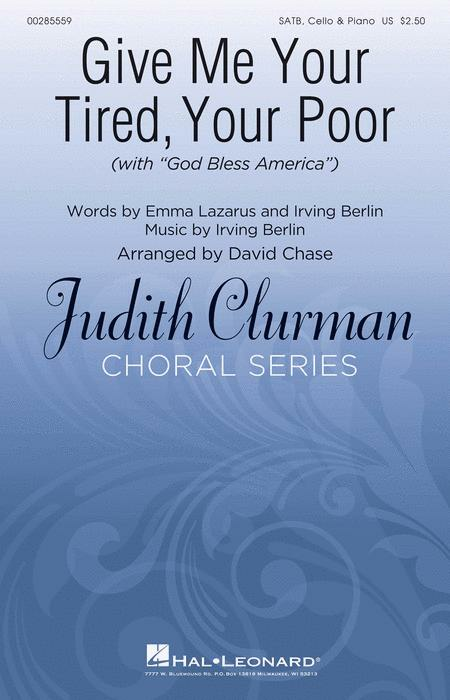 Here is a thoughtful and reflective setting of two great Irving Berlin songs--“Give Me Your Tired, Your Poor” and “God Bless America.” Hope is always front and center in Irving Berlin lyrics and there is no exception here. The lamenting sounds of the cello keep us grounded in our commitment to welcoming the stranger as we sing over and over again “I lift my lamp.” This is a wonderful concert closer.